Melodyne, Waves Tune or Auto-Tune? Which is the best to use? Which one is your favorite? They all do the same thing technically but they all have different algorithms and different ways of working. I’ll tell you what I like about each of them. Melodyne has a functionality which I believe is second to none in its ease of use. It has the ability where you can collect the blocks and push them up! It’s really super quick to do. A lot of my friends who are engineers but not musicians love Melodyne. Once they’ve identified the key they’ll quickly use it to fix any tuning issues. For a one-size-fits-all, Melodyne is pretty amazing. It’s also quick and easy to use for building harmonies. You can see the scale and you can grab those blocks, move them up to the next note and build a harmony from the original. Auto-Tune is the one I use predominately. I use it to fix vocals in a graphical mode- it allows me to see any elements out of tune in a whole vocal performance, and adjust the single piece of vocal that went out. I can use it to tuck the vocal into the note I want it to be. This works especially well when I love the tonality of the singer. It’s my choice to use Auto-Tune for this, but of course Melodyne does that as well. Waves Tune is something I use as well. I’ve found that Waves Tune’s algorithm is particularly good on rock vocalists that have a lot of grit. I was working on a rock album with Mike Clink (Producer of Guns N’ Roses)- he had a performance of a singer with a super growly voice that had a few instances that needed fixed. I tried Auto-Tune, but there was so much growl in his voice that it barely had a note- same thing with Melodyne. Bear in mind this was 5 years ago, so both of these programs may encompass that now! Waves Tune immediately found that note in the super growly vocal and was able to fix it. They’re all really good for multiple different instances. They can do all the jobs! If you have the flexibility to use all of them, you can choose what is best for you and what is best in a specific situation. If you can, try each of them out and see which one works for you! 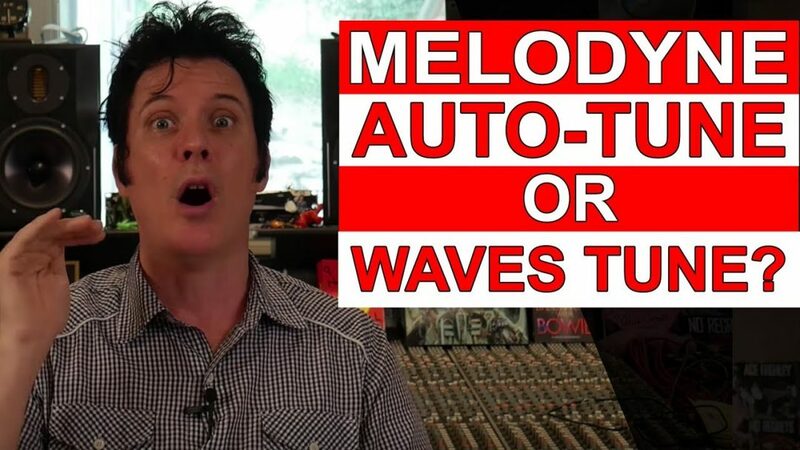 • Melodyne, Waves Tune or Auto-Tune? What would you recommend? • Do you ever use albums to reference when you were mixing? If so what were some of your favorites to use? • Have you ever mixed latin music? • You mentioned putting the MV2 on the end of a ‘bass sub’. With that do you mean compressing the sub frequencies? • On keeping a copy of everything you work on, do you not store it in the cloud like with Dropbox or similar? That must be cheaper and more resilient than keeping old drives around. • Have you ever thought of running a paid service where you provide customers a song to mix every week/month and then provide them with short reviews about their mix?